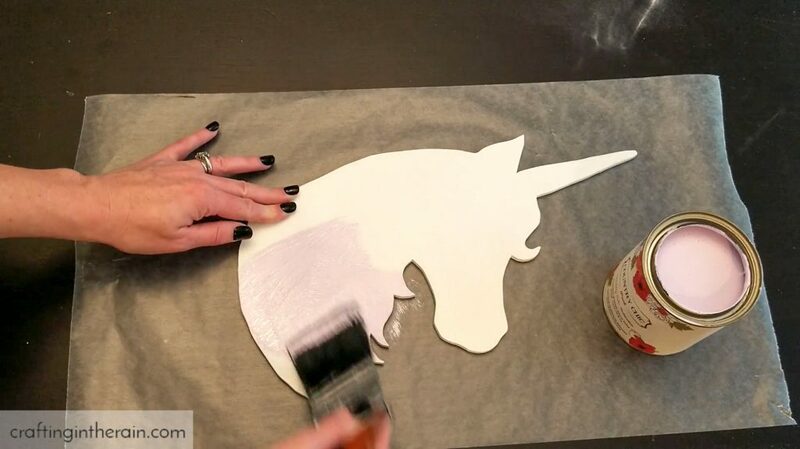 I was recently challenged by Rustoleum to try out their glitter interior wall paint. Paint was sent to me and all opinions are my own. I chose the Iridescent Clear color – other options include rose gold and silver! 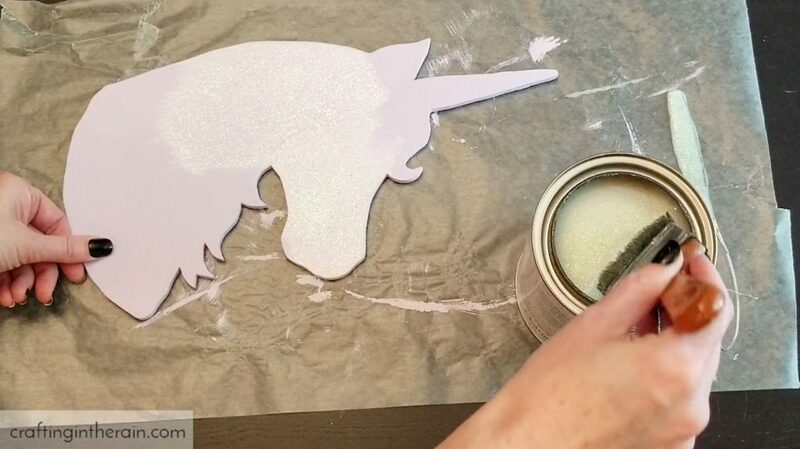 This glitter wall paint can, of course, be used on walls (watch this good instructional video for using the glitter paint.) Furniture and decor items can also be glittered. I love that the glitter is so fine and so sparkly! 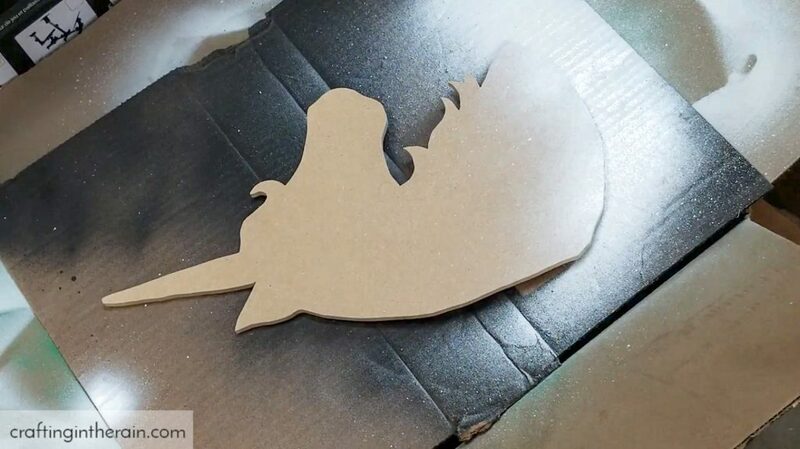 To start out this project, I cut a unicorn shape from MDF using my scroll saw. I sanded down the edges so they were nice and smooth and painted with spray primer. 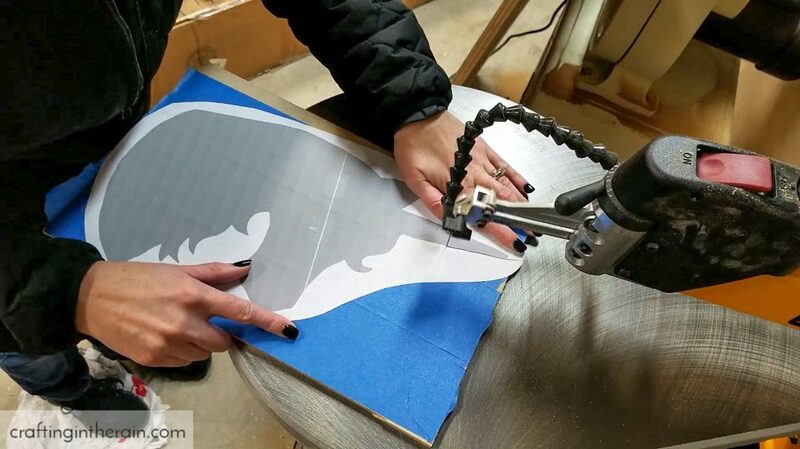 MDF can cause paint to become splotchy because it soaks it up unevenly. So I always prime first. When the primer is dry a finish off with some light sanding and wipe it clean. Then I brushed two coats of lavender paint. When the base paint was dry, I started adding coats of glitter. If you watch my process video, you’ll see that I brush the glitter on first, and then use the brush to kind of pat all over the paint as well. This removed any brush lines from dragging glitter. 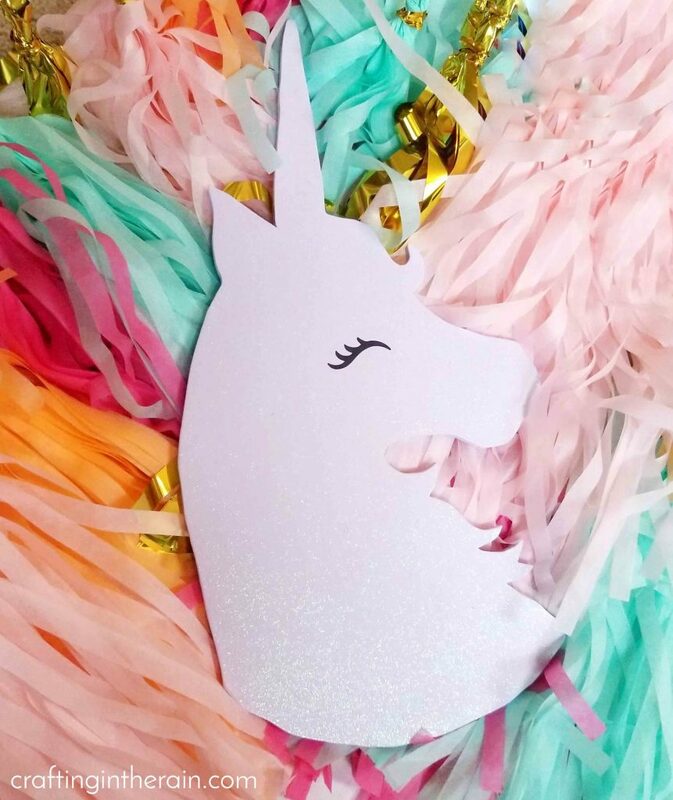 I painted 3 coats of glitter paint on the unicorn and I love the coverage. Look how much it sparkles! The iridescent glitter really is the perfect top layer. The final touch was to add a black vinyl eyelash to this pretty girl. I cut it with my Cricut of course. 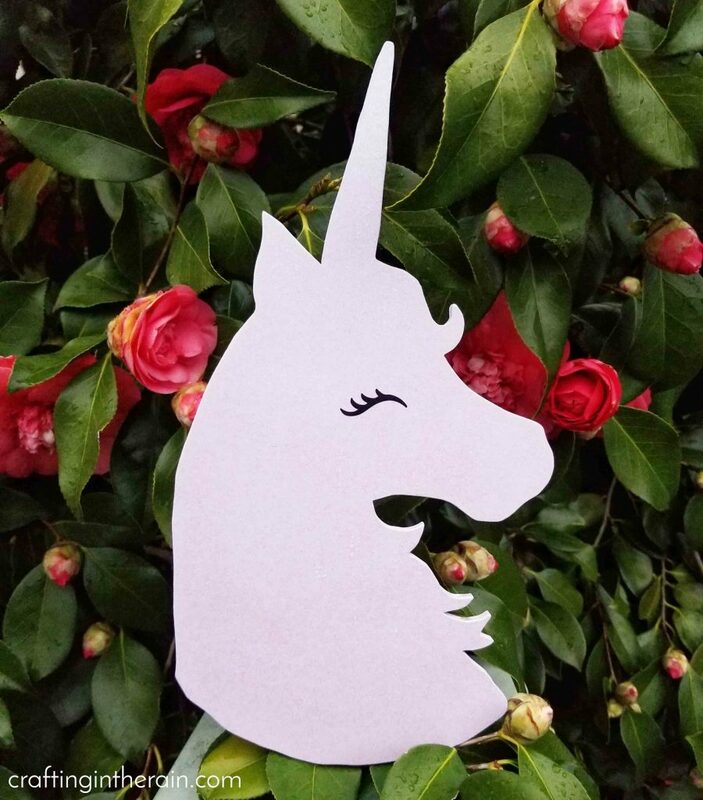 Who in your life would love this glitter unicorn scroll saw cut out?